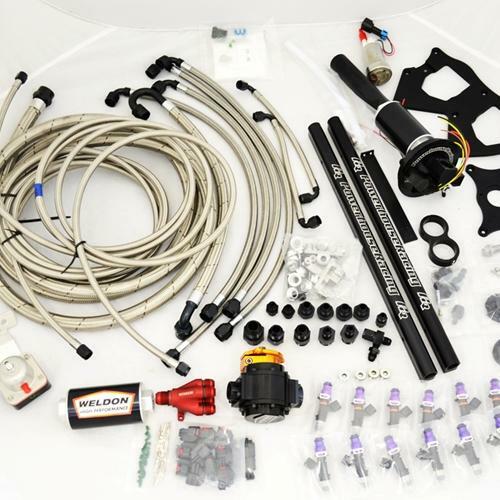 With three different Weldon fuel pumps to choose from, you can tailor the kit to your specific needs and future plans. Although the system is made to support massive hp, pairing a smaller pump and injector setup is perfectly fine for even street-driven cars. The mechanical pump is virtually silent on the front of the motor so you don’t have to listen to the whine of big electrical fuel pumps.